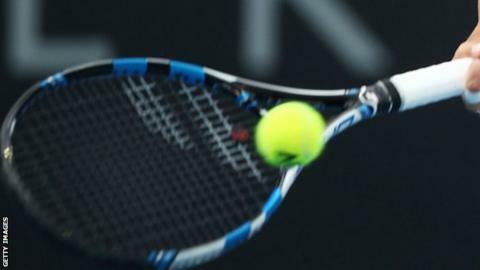 A long-awaited tennis corruption report is not expected to find that evidence of match-fixing has been suppressed. The Independent Review Panel (IRP) was set up in January 2016 after a BBC and BuzzFeed News investigation uncovered suspected illegal betting. The panel - which BBC Sport understands has cost close to £20m to fund - has interviewed more than 100 individuals from across the sport. The report will be published on Wednesday. Betting operators, gambling regulators, data supply companies and law enforcement agencies were also questioned as part of the review. And although this interim report is not expected to uncover evidence of corruption at the elite level of the sport, the IRP is understood to have been at least exploring some radical ideas. One area of interest has been whether a player should automatically be suspended when a specified number of their matches attract suspicion. This would be highly controversial, as a bookmaker or gambling regulator alerts the Tennis Integrity Unit (TIU), which was set up to police the sport, whenever they detect unusual betting patterns. These can arise for many reasons - such as incorrect odd-setting or player injury - and are not on their own evidence of match-fixing. The panel, chaired by Adam Lewis QC, is also said to have been investigating 'tanking' - the term used when a player, for whatever reason, fails to give the "best efforts" required by the rulebook. Is tanking a straightforward offence? Under current rules, both the umpire and supervisor have the power - though its rarely used - to penalise players points or even games, but it appears the IRP has been exploring whether this should be viewed as corruption, and therefore investigated by the TIU. This is another area fraught with difficulty, as players may decide to reduce effort levels in one given set to conserve energy for later in the match. And although it is an issue for spectators if a player withholds their best effort in a doubles match - perhaps because they have been knocked out of the singles and want to move on - should that be classed as corruption? Nick Kyrgios is a recent example of someone who has been penalised by the existing rules. The Australian was fined a total of $41,500 (£29,700) and suspended for three weeks by the ATP for "conduct contrary to the integrity of the game" at the 2016 Shanghai Masters. At one point, Kyrgios hit a gentle serve across the net and walked to his chair before his opponent, Mischa Zverev, had even returned the ball. What changes have already been made? The TIU describes itself as an "operationally independent organisation" and is funded by the International Tennis Federation (ITF), the ATP, the WTA and the four Grand Slams. The IRP has been examining the body's level of independence, including whether the unit should distance itself physically from the ITF, which is based on the same site in Roehampton, south west London. The IRP might be more likely to propose that the heads of integrity at the various governing bodies no longer have the power to decide whether an anti-corruption investigation should proceed to a full hearing. It may also recommend that anti-doping and anti-corruption are policed by one expanded organisation in future. The TIU already looks very different to how it did when this review was commissioned two and a quarter years ago. The budget has increased by about 25% per year and the staff doubled in size from five to 10 in 2016 alone - it now stands at 17. Since March 2017, players have been required to complete an online anti-corruption training module every two years, and the unit has started publishing an annual review, as well as quarterly updates on the number of match alerts it receives. The TIU has also recently gained access to a fraud detection system run by sports data specialists Sportradar AG. A deal struck by the ITF gives the TIU another way to monitor betting patterns across more than 50,000 ITF Pro Circuit matches. What could be done to stop match-fixing? The IRP's thoughts on tennis' relationship to gambling will be fascinating. The governing body already had a lucrative, long-term agreement with Sportradar, which allows the Switzerland-based company to act as the official and exclusive worldwide distributor of the ITF's data. It argues this enhances integrity by reducing the "unauthorised collection and dissemination of official or erroneous data" - but it has also led to a huge increase in betting on entry-level tournaments in recent years. Putting a stop to all betting on matches on the Futures Tour could, in theory, eradicate the problem of match-fixing. But even if this were deemed possible, a black market would very likely spring up in its place. Instead, the ITF is pinning its hopes on the introduction of a new global Transition Tour in 2019. This aims to offer a pathway into professional tennis, while radically reducing the number of professional players at the same time. The ITF estimates there are 14,000 players trying to make a living from the sport, half of whom do not make any money at all. The aim in future is to have a professional group of no more than 750 men and 750 women. This interim report had been expected in the first quarter of 2017, but after 27 months of work involving great expense, its conclusions remain eagerly anticipated - especially as the sport's governing bodies have pledged to "implement and fund" all of the IRP's recommendations.